The ship is outfitted with a sauna and Jacuzzi for the swimmers' rewarming recovery under the watchful eye of specialist emergency physician Dr. Sean Gottschalk. 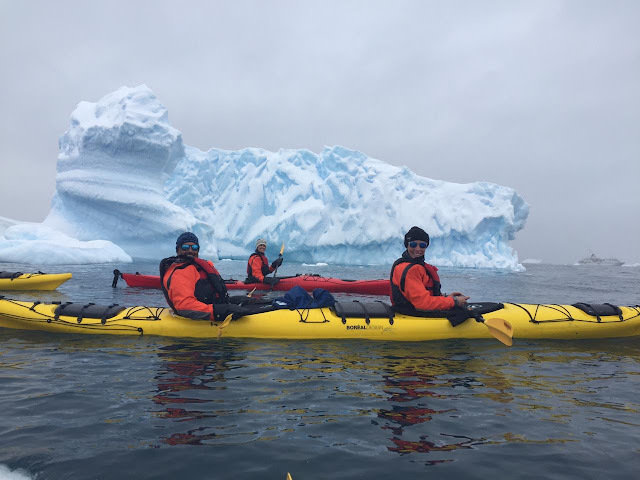 Plan A was to swim parallel to the expedition ship, the RCGS Resolute. But the swimmers found that the ship has side propulsion motors to constantly correct it in order to avoid floating ice. It was clear that the swimmers could not be in the water close to the vessel. 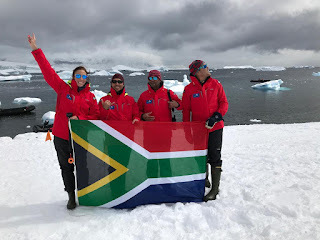 Craven said, "We have a beach swim as on option too, but then logistics from the beach to the ship via zodiacs can take time at a crucial stage during the recovery period with the possibility of hypothermia." 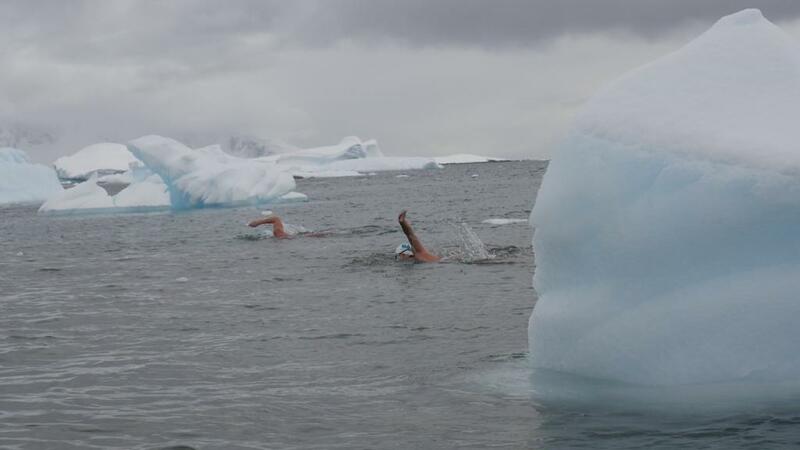 But the team put together a Plan B and was able to manage a test swim. "Up and until then, the weather had not been very hospitable. 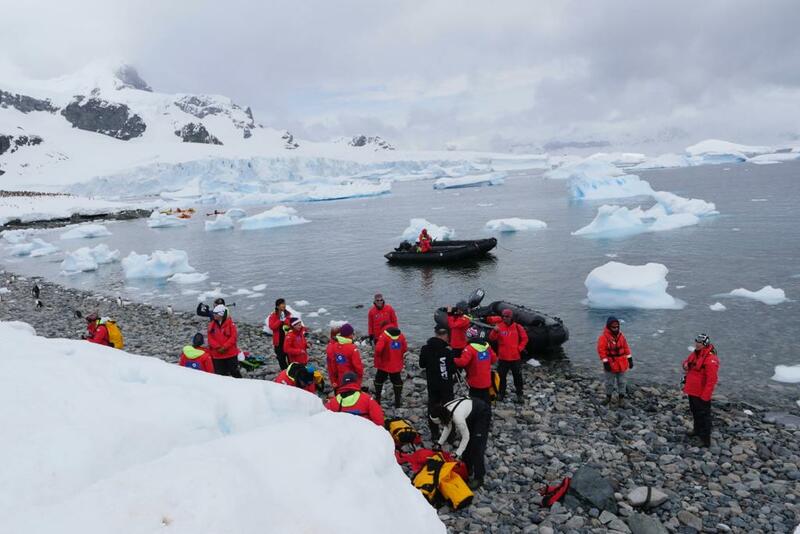 The conditions did not allow anyone to get off the boat, never mind swim. Luckily, the elements subsided and water warmed up to 0°C that enabled a test swim yesterday. The official swim is scheduled for today - weather permitting. 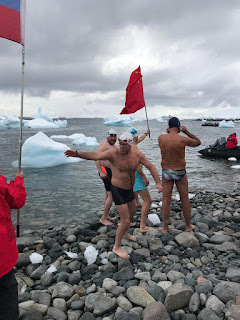 Looking at the icebergs, miserable weather and abandoned, beautiful land of ice, I was wondering if these ice swimmers in Speedos were real. I think they are robots - programmed to get the job done. It just can't be real." The Antarctica Ice Kilometer Swim: remarkable camaraderie and logistical challenges at the bottom of the world.